He is good orthodontist that took care of my daughter's teeth. Dr. Goldstein is one of the best orthodontist in our area. His staff is very pleasant and office is highly organized. We are very pleased with the treatment offered to both our children. Dr.Goldstein is an amazing orthodontist and he does a really great job with his treatment. He treats all his patients with care and he really is helping a lot of people. Thank you, Dr. Goldstein. They provide us with all of the tools that we need for our daily teeth routines!! I have been going to dr. Goldstein since 2nd grade I am now in 11th grade and I have always had the best experience. Wonderful experience here at Dr. G’s! Pleasure to be a patient! Dr.Goldstein is an amazing Orthodontist. My 2 children and myself have been going to Dr.Goldstein for 4 years and it is the best. He is very caring and honest and he goes everything with you. Dr.Goldstein is a great doctor because he asks you if anything hurts or if you need anything extra like a toothbrush. Dr.Goldstein assistans are also very nice they help you with whatever you need, telling where the brushing area is what colors to get for braces and much more. I would highly recommend this Orthodontist. Dr. Goldstein is the best orthodontist out there! His staff is so helpful and kind. Everything in his clinic is nice and organized. He makes a lot of jokes and welcomes us with gratitude. I am so happy that I go to Dr. Goldstein to get my teeth done! Dr. Goldstein is a pleasure to be treated by. His staff is very kind and always offers to give us things like toothbrushes, mouthwash, and more. I trust Dr. Goldstein with my teeth and now, my teeth look amazing. Dr. Goldstein is one of the best orthodontist I’ve met. Really cares about his patients and make sure the treatment is done right and if it’s not; he will continue to fix it. Choosing him as our orthodontist was the greatest choice we’ve made, cause you know the money you pay will get you the best level of results! This place is amazing all the people are really nice and they help me take care of my teeth?? We love the care he provides to both of our children who have had braces. Everyone in the office is friendly and courteous, and always greets you with a smile. Dr. Goldstein takes the time to explain your treatment and answer any questions you have. Highly recommended!!! Dr. Goldstein and his staff are experienced, professional, and friendly. They make each visit a pleasant experience. They take the time to explain everything clearly and answer questions thoroughly. I am very impressed with the Invisalign process so far and comfortable knowing I am in good hands with Dr. Goldstein and his excellent staff. Dr. Goldstein and his staff are wonderful. I’m happy to have found him for my children. Dr Goldstein is really nice! Definitely would recommend him to everyone! I've been a patient of Dr.Goldstein's for the past 4 years. All the staff are very nice and accommodating. He is very kind and always makes me laugh. I highly recommend him. He's a great orthodontist. The entire staff is entirely kind and accommodating to needs. They have been very helpful over the many years I have been a patient. They're very helpful and always willing to go the extra mile. Dr. Goldstein and his staff are always kind and attentive. My daughter had her braces on for about 2 years. She's been wearing her retainers for over a year 20-22 hours a day, but when my kids dentist at their hygiene appointment made a comment about her "bite", and wants to extract teeth on my son I panicked and Dr. Goldstein said come over right away when I called. Everything is fine I trust him he was very assuring. By the time we got home that evening he was calling and asking if we were OK with our visit with him. He has suggestions for my son getting braces. He's also very conservative when it comes to extractions of children's teeth. He's never in a rush for that! 5 stars for sure!!!!! I like Dr. Goldstein a lot, he’s a very good doctor for children and adults. Dr.Glenn is an amazing dentist he is an also a great listener and he is very kind. Dr. Goldstein knows what’s best for you and works his hardest to meet your best standards. He will work hard to make your experience wonderful. Best doctor... have been my daughters and now mine as well.. Awesome staff and a wonderful orthodontist. Extremely happy !Will recommend to my friends. We are extremely happy and satisfied with the quality of the service. Dr Goldstein is very knowledgeable and accommodating. The staffs are friendly and superb. 10 stars all the way???? My son goes to dr Golstein for the past 2 years and we are very happy with the service he provides. I recommend him to my friends . I am very happy with the quality of the service, on behalf of my son (who is done with his treatment), my daughter (who is in the latest third of hers), and mine (just started). Particularly impressed with: - clear, human-understandable explanations of options, treatment steps, dependencies - ease of insurance handling (as a patient, you bring your card - and that’s it!!) - precise timing of appointments (across 2 years of appointment for my son and 2 years for my daughter, I never - never!! - had to wait more than 5 minutes beyond the appointment time) - thoughtful adoption of state-of-art technology but adjusting it with dozens of years of orthodontics experience - treatment of teenagers with respect (without little-kiddie-talk) - great sense of humor and efficiency of staff. I never thought I’d go for orthodontic treatment myself, just the children. Having seen this practice - I have. And I don’t regret it. Dr Goldstein is very knowledgeable and talented. 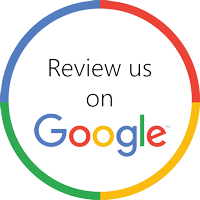 We are extremely satisfied with the service and AWESOME staff . My kids love Dr Goldstein for his humor and we give a 10 on 10 for overall experience! Dr. Goldstein is the best! He is super funny and makes the appointments feel like a breeze. He is very helpful and always makes sure that you are doing the best with your teeth. Dr Goldstein and staff are the best. Very professional, friendly and helpful with any questions or concerns. Dr Goldstein is highly recommended and will not hesitate to go out of his way to help if needed. Dr. Goldstein and his entire team is amazing. I would not even think to go anywhere else to treat my daughter. Amazing! Great staff, kid friendly office! My son was nervous and Dr. Goldstein and his staff put his mind at ease. They talked to him and answered his questions. They were patient with my son and went at my sons speed! Best orthodontist, really cares for his patients! !